Rob Schremp does not believe in keeping fans at an arm's length. It's a unique event, an evening that Schremp has marked on his calendar. On November 30, Schremp, along with New York Islanders teammate Andrew MacDonald, will rub elbows with fans at a dinner, a night that also gives Isles' backers a ticket to a home game of their choice. Schremp didn't need to be asked twice. Social, a restaurant just across the street from the Coliseum, is hosting the night. Included is a three-course meal from Danny Gagnon of “Top Chef” and personal visits to your table by Schremp and MacDonald. On this evening, autograph requests and taking of photographs are encouraged. Don't expect either player to be camera-shy. It hasn't been what one would term fun for both Schremp and the Islanders early in the 2010-11 NHL season. 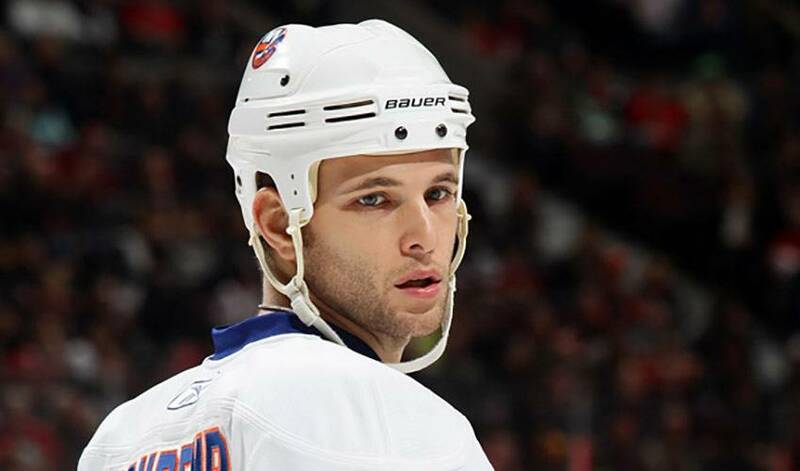 The 24-year-old, who suffered a lower back injury during the Isles' exhibition contest against the New Jersey Devils in early October, has only played in a handful of regular season games to date. The Islanders, after a promising beginning to their campaign, have dropped 11 games in a row, including a three-game sweep on a California trip. Scott Gordon, their head coach was fired, with Jack Capuano, the coach of the Islanders' AHL affiliate, the Bridgeport Sound Tigers, taking over behind the bench. For a team that has not won a playoff series since the 1992–93 NHL season and who were ousted in five games in the opening round in their last post-season appearance in 1996-97, it's hardly what they need. But Schremp isn't willing to concede anything yet. Lucky bounces, it seems, have hardly come the Isles' way. Yet through all the tough losses, the players have been resilient, something Schremp sees in practice and within the room. It's why Schremp sees better days ahead. Wins and losses aside, Schremp, at least for one night, will put all of it aside when he gets to talk the talk with hockey fans.